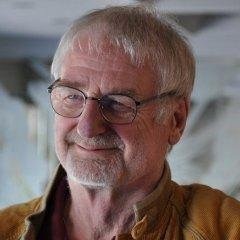 I feel so sad this evening to hear of the passing of Sir John Whitmore, one of the grandfathers of coaching as a profession or way of being with people. I first met John in 2003 after inviting him to be a part of ICFA’s 2nd regional coaching conference in Sydney. He later told me that hadn’t been to Australia for such a long time, and so enjoyed meeting the coaching community here. As a result of that joy, he came to Australia quite regularly for some years. John ‘rattled my cage’ and became an inspiration for me in my efforts within ICF and then more broadly in the world – to find ways of contributing to a more spiritually fulfilling, environmentally sustainable and socially just future. John’s courage, generosity and friendship will be greatly missed. And his legacy lives on strongly…I feel so privileged to have known John and heard some of his story. I wish his friends, family and colleagues peace at this time.